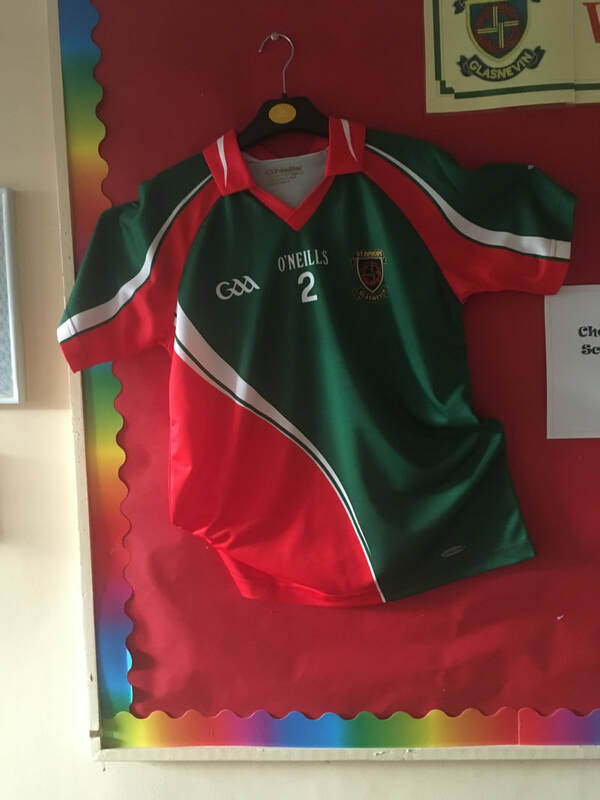 Our football team had a wonderful run in the Cumann na mBunscol Leagure this year. 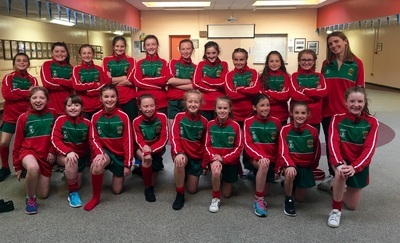 They won all 3 league games in Corn and Chladaigh and progressed through the 1/4 final and a tough semi-final against Holy Family Rathcoole to reach the final of the cup in Croke Park. Unfortunately it was not our day but the girls left everything on the pitch and we couldn't have asked for anymore. They were beaten by a string Garristown team on the day but it was a wonderful occasion and it was great to reach the final. Huge thanks to all our supporters on the day, our teachers and our fantastic parents who are so supportive of the team always. A special thanks to Mark O'Shea and Colin Haverty who helped out with training and mentoring the team this year. We're very grateful. As always thank you to Na Fianna who always facilitate us for training and all our home games. We are so excited with the arrival of our new football strips from O'Neills this year. St. Brigid's got our first football kits when we started our football team in 2006 and they served us well. We love our new kits and we hope they bring us lots of luck this year. Thanks so much to our Parent's Association for their fundraising last year which allowed us to purchase these kits. Our 2017 team comprised of girls from 5th and 6th class have had a great start. We are playing in the Cumann na mBusncol league and have won 2 out of 3 games to come 2nd on our group. . Our last game against Mount Sackville was an incredibly exciting game with a one point loss in the end. We train on Tuesdays and play our matches on Wednesdays. Our home games are in Na Fianna and we are very grateful for their support and for always obliging us when we need to use their facilities. We also have wonderful support from our parents at all our games for which we are very grateful. 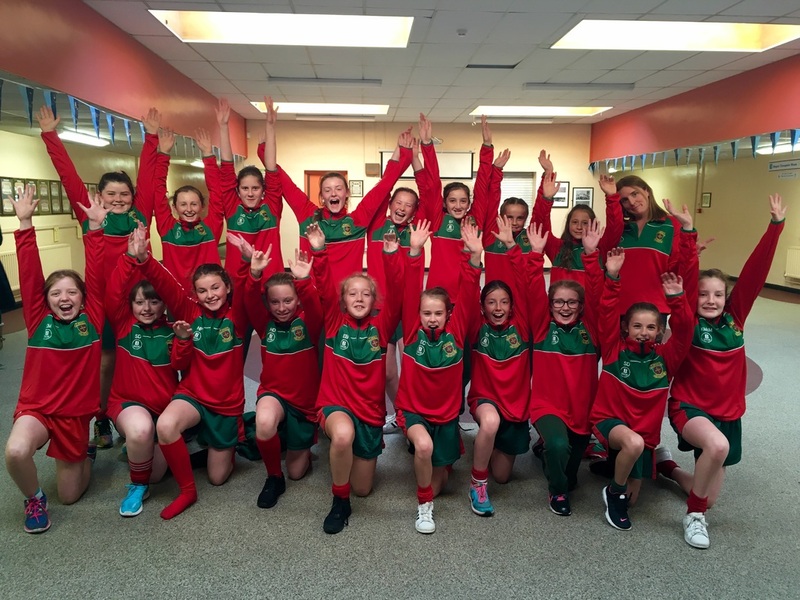 We look forward to playing St. Rapheala's from Stillorgan next week and wish the girls all the best. See our team photo below. ​Check out the design for our new tops designed by Balon Sports. We love them. Our 2016/2017 Cumann na mBunscol league is already up and running.. We were in Corn an Chladaigh this year. 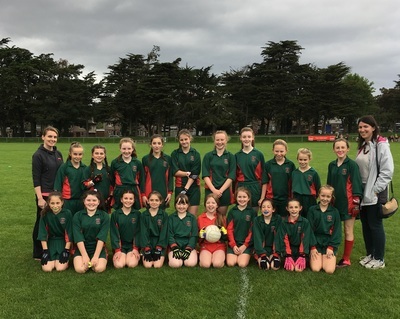 Our team comprised of girls from 5th and 6th class won their first three games against Mother of Divine Grace, Corpus Christi and St. Brigid's in Finglas. They reached the semi- final of the cup 'Corn an Chladaigh'. Unfortunately we lost out at this stage after a tough battle. We are very proud of the girls and the way they conducted themselves themselves both on and off the field. Well done everyone. As always we thank Na Fianna for their support and use of facilities whenever we need them and of course our wonderfully supportive parents who we couldn't do without. See below for our 2016 team photographs..
An article on St. Brigid's GAA that appeared in the programme of one of Dublin's league games early in 2016. 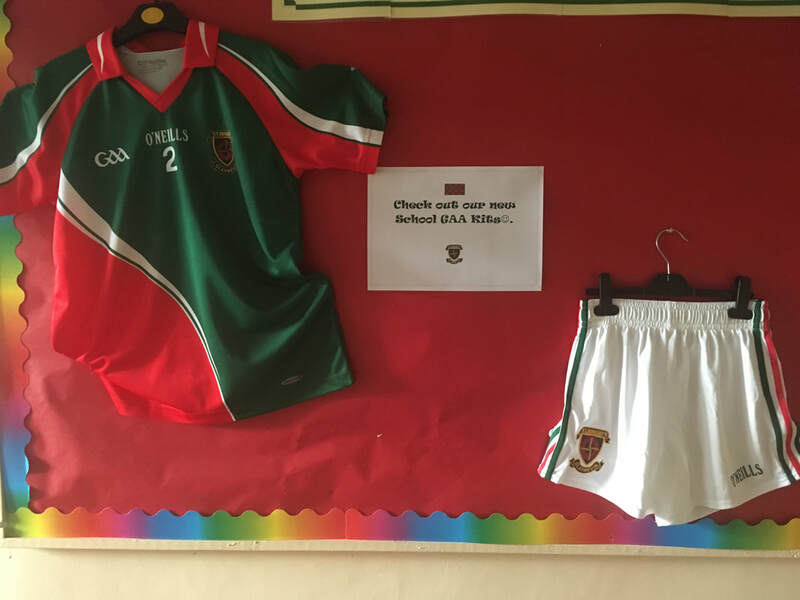 We are grateful to Cumann na mBunscol for the nice tribute. 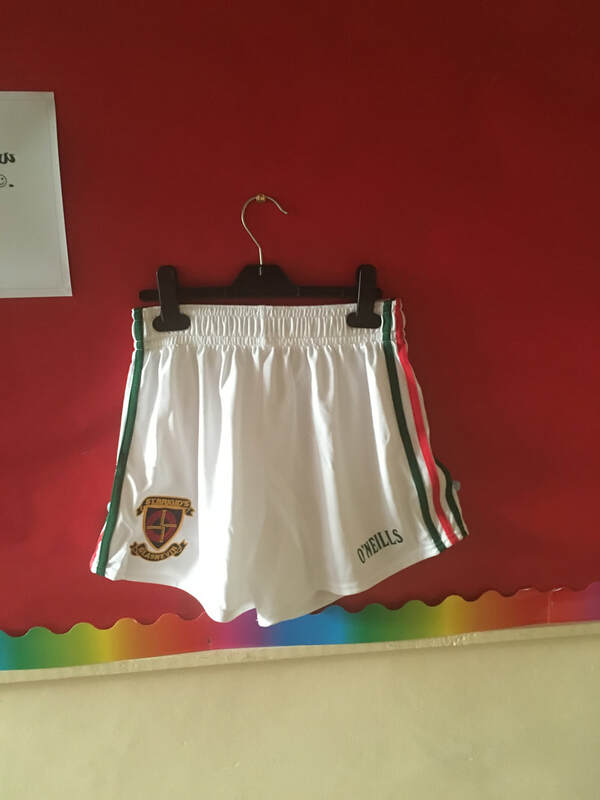 St. Brigid’s school first entered a football team into the Cumann na mBunscol League in September 2006 and have had some wonderful successes in those years. The 2006 team, captained by Emer McDonagh, had a very successful first year, winning every one of their matches and then proceeding to win the final in Parnell Park. The team was made up of pupils from the 5th and 6th classes. It was a wonderful achievment to win the cup in our first year. In 2007, the St. Brigid’s team, this time captained by Kate Dwyer, had another great year. The team won all of their matches and once again reached the final, this time in Croke Park. Unfortunately the St. Brigid’s team was beaten in the final by Gaelscoil Taobh na Coille from Kilternan but it was a great day out for everyone. The 2008 St. Brigid’s school team was captained by Hannah Kelly in 6th class. They won all of their matches and proceeded to the semi- final against St. Annes in Shankill. It was a very tough game and unfortunately they were beaten. While the girls were very disappointed they can be very proud of themselves for battling hard and not giving up. They did extremely well to get so far. The 2010/2011 team was captained by Mairéad McDonagh and again St. Brigid's had a great year. 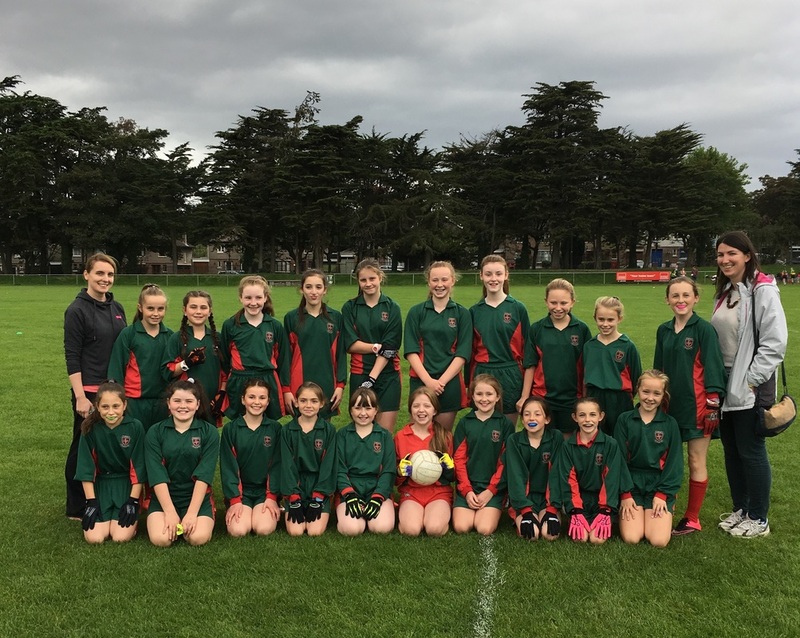 They won almost all of their matches and proceeded to the semi-finals in Fairview Park where they played against Ringsend. The girls won their match and as a result made it to the finals in Croke Park. What a wonderful occasion for the team, their families and all the supporters. While we were beaten that day we were immensely proud of the girls and the work they put in all through the league. The 2013 football team captained by Kate Hughes and Karla Conway again reached the final in Croke Park. It was an amazing achievment to get there after a tough start to their league games. They played Holy Family Swords in the final and we were very excited to be a part of such a great occasion. Our team gave it everything until the final whistle and were unlucky not to get a much sought after winning goal. We lost by two points in the end. The final score was 3-6 - 3-4. They should be extremely proud of themselves though and we could not have asked for better representatives for our school both on and off the pitch. It is a tremendous honour to play in Croke Park and something I know the girls will never forget. We are very proud of them and they gave all the supporters a great day out. See below for information on our 2014/2015 football team. St. Brigid's finally got the win they've been waiting so long for in Croke Park this year. This fantastic team worked so hard all through the league and their commitment and enthusiasm is to be commended. 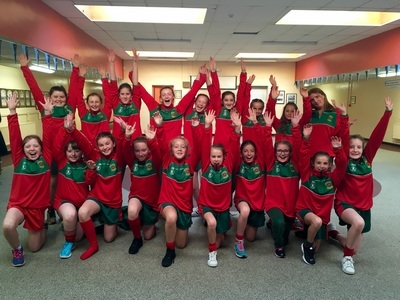 They began playing their matches in September, won them all and got to the finals in Croke Park on November 3rd. It was a wonderful occasion for players, parents and supporters and one that we won't forget. They played Scoil Padraig in Ringsend. Victory was ours this year and we were very proud of the girls on the day. The team was captained by Emily Byrne on the day but is a team full of leaders who all made a great contribution over the course of the league. Amy Alcock and Anna Farrell also captained at different points throughout. The conduct of the entire team both on and off the field has been really excellent and they have been a pleasure to work with. They brought Corn Sean Mac an Bhreithimh back to St. Brigids where it takes pride of place. Well done girls.Thank you for a great day. See slideshow for photos.